If you love playing shooting games be sure that you will spend a lot of time enjoying our new game. Here you will be a special agent that fights against terrorists. You are equipped with well-armed helicopter. You will experience dangerous missions against enemies armed with rockets, tanks, rocket launchers and others. 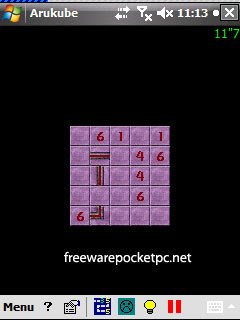 Arukube has the same gameplay as Arukone, but with an additional constraint: length between two symbols is given. This new concept is totally changing the game, this is now an Arukone elevated to the cube. - length must be the number indicated by the cell. You may ask for help and reveal one line, but it costs 15 seconds per cell. This version automatically computes grids. 3 sizes are available. 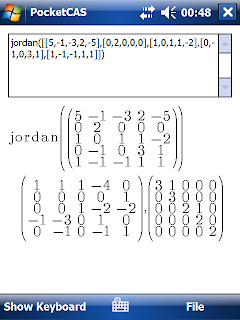 Several solutions may exist for one grid. You can choose the color of good/bad cells. PopCap Games Pack 2 brings you five awesome PopCap games in one pack for one great price! Feed Lex the Worm's endless appetite by joining letters on the library wall! Bookworm. A superb word game for beginners and experts alike and a great way to increase your word power! Get prehistoric with this dino egg-citing game! Dynomite! Launch dino eggs to solve the puzzle, but watch out for Mama brontosaurus! This new Palm game is a spectacular action puzzler for everyone! Stretch your brain muscle in a series of increasingly challenging puzzles in Mars Needs Cows, as you maneuver stupid earth animals into the middle of a field so that you can beam them to your ship! The Ark is built, it has just started raining, and there are still hundreds of animals to bring in! Noah's Ark. Tap to match pairs of animals in the confusion, to bring them to the Ark and save them from the rising flood water. Big Money is the crazy game of coin collecting fun, so grab all the coins you can and fill up those moneybags! S2U2 (Slide 2 Unlock 2) is a simple lock/unlock application which has the iPhone style slide unlocking. It can be used as a screensaver while you don't use your device. And it has a CallerID function (some devices may not work, so please try it first); and S2P (Slide 2 Play) control plugin. For installation and configuration instructions see the included Readme.txt file. If your device has suspicious unknown count of any unread email/vmail/sms/mms, use ResetUnreadCount.cab file to reset them. · rewrote the show appointments code which fixed some bugs & requires lesser CPU time. · further optimized the screen rendering speed. · when the S2P control is activated, appointments info will be temporarily hidden. · removed the lock when S2P (or other music app) blanks the screen. · added option to disable the unread count of MMS. · upgraded some graphics (but still not all) to true VGA for the VGA version. · some minor bugs fixed. 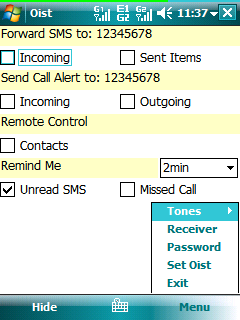 OldSAP's Oist is a multifunctional utility for managing your SMS, contacts and calls. Note: for the sms forwading of sent sms items you should use using the default tmail.exe or it will not work. 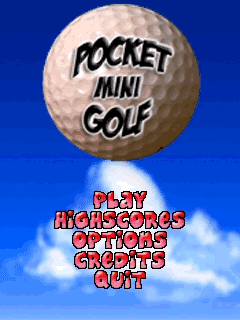 Pocket Mini Golf features 3 courses of increasing difficulty, with 18 holes per course. It has 4 different players to choose from and 2 different game types. Play standard golf rules or against the clock, the choice is yours. - 4 cool player characters! An excellent plug-in. Extremely customizable and sizes well for VGA - after a bit of tweaking the settings. Developer says he has stopped development on it though (this version was actually released in 2005). Too bad, but it'll have a home on my Today screen for a while. 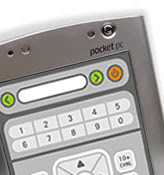 Pocket IRC aims to become the premier IRC client for Pocket PC, Pocket PC 2002, and Pocket PC 2003 PDAs. Pocket IRC has many of the features you've become accustomed to from desktop IRC clients like mIRC, such as full colour code and formatting support, custom background images, built in IDENT server and more! Pocket IRC has also been designed with the Pocket PC in mind, and that means the less typing the better! All of the most commonly used IRC commands are just a tap away, no need to type more than necessary. · Never be without IRC! 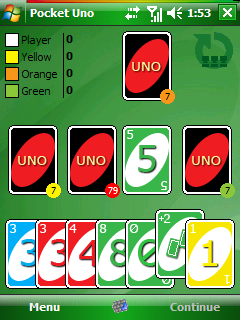 Uno (spanish for "one") is a card game played with a specially printed deck. The game was originally developed in 1971 by Merle Robbins. Uno is one of the world's most popular family card games. Just play cards from your hand by matching color, number, or word. Try to rid yourself of cards before opponents do! Rules are simple but the gameplay offers hours of fun. Spawn is based on the best-selling independent comic book of all time. Spawn for Pocket PC follows the battle of Hellspawn against Angels in a world where good and evil are not as clear-cut as they may seem. LockCrypt for Windows Mobile provides a secure, password protected database of your accounts. It uses an encrypted database, enabling you to access your account information, bank details, passwords or other information from a phone or PDA. Data is encrypted using industry standard AES encryption, which is regarded by the cryptography industry as very secure. Even if you phone is lost or stolen, your data will remain safe. There's also a desktop version. Scroll Launcher is a Diamond styled Launcher for WM Devices. It index all your program files and when executed you can simply scroll down with your finger and launch the selected application. Very simple but yet efficient application. A 3D Underground Racing Game for Mobile Generation. Taste the Spirit of Mobile Generation, Feel the Pulse of Speed City! What else? You taste it! Provided by OmniG Software Inc., Game Engine Powered by OmniGraphics. Reminder: SpeedCity is designed with the heaviest ever 3D graphics for mobile game. In terms of 3D graphics, it may render thousands of triangles in a single frame. For playable 3D rendering (frame rate), a Pocket PC with 400+ MHz Intel® PXA 255 / 26x / 27x or compatible processor is required. Free Upgrade: Buy our games now, enjoy free upgrade forever! Received SMS are checked for location statements by Phonetracker4Free and transferred to Google Maps Mobile independently. Google Maps Mobile displays the location on a map or by satellite images, and takes over the routing to the destination if necessary. To request a position report only send the text message > *PHONETRACKER* Request < to the mobile phone where Phonetracker Locator is running. PocketCAS contains a fully-customizable, easy to use mathematical keyboard for quick input of most mathematical functions. You can even assign images to displayed on a button rather than mere text! Therefore, PocketCAS is as simple to use as a pocket calculator, but provides you with the functionality of a full-blown CAS - in your pocket, wherever you take your PDA with you! Missing a function or a macro? Simply add it to the keyboard which is stored in a human-editable XML-file! The Lymphatic System Flash Cards product uses the time tested content and images from BryanEdwards.com and displays the necessary images to demonstrate the lymphatic system. This PDA version consists of 24 pages that examine the lymph vessels and capillaries. Substantial text content detailing each image, and a quiz (?) section has been added to aid as a learning tool. SmileySMS program is a plugin for default MailBox program,and whenever you receive an sms this program shows special notification message and also you can view it the same way in your inbox. 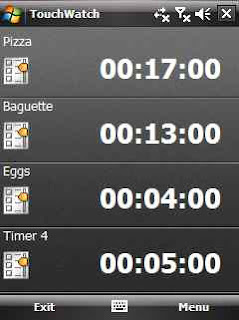 This is a simple timer application with four configurable countdown timers. Set an description and a time (hh:mm:ss) and stop/start/reset timer with your fingers only. No need to use the stylus pen. Touching the timer once will start it. Touching it twice will stop it. Tapping&Holding the timer will reset it. Needs no more explanation. The app is self explaining. # If a timer is running your device will not enter standby/sleep until all running timers count zero (configurable). If you want to use a long timer be aware of battery usage. Be sure that your backlight switches off after some time. If your device switch off for any reason, you will not be notified that a timer count zero. The application isn't able to switch your device on. # Settings are stored in registry "HKLM/Software/M_G/TouchWatch" and all configurable from the application. · edit timer window now opens with buttons instead with the menu. GPSToday installs as a today-screen plugin on your Windows Mobile internet-enabled device. At the most basic level, it keeps your GPS hardware primed whenever you need it. But that is only for starters. In general, it will significantly enhance the utility you derive from your device. GeoTerrestrial GPSToday offers a mind-boggling array of intuitively accessible features hidden behind a unique and clever interface. 1.) Now includes GeoTerrestrial GeoWeather. Always see the current weather for your current location on the today screen(US Only). Can even be used to check the current weather for any point on the map. 2.) Now includes GeoTerrestrial GeoLogger. Can be used to log your position updates to a text file on your device. 3.) Now works on 320x320 (aka the Treo 800w) and 240x240 resolutions. 4.) Now save the street address for any point on the map to a contact. 5.) Now you can remove previously saved geo-positions from a contact. 6.) And other minor fixes and enhancements. # It utilizes intelligent algorithms to always maintain and display a fix on your position right on your today screen, without draining the battery. # Always see your full street address, not just geo-coordinates. # GPSToday always shows the distance to the nearest contact from your device's address book. # Single tap to create a new contact with your current location as the address, or save the current location as an existing contact's address. Imagine not having to type the full street address on the PPC keyboard! # You will never need the stylus to use GPSToday! 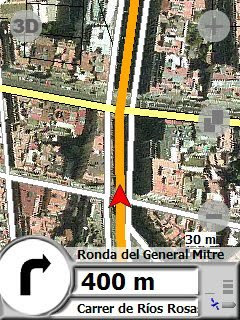 # Speed, heading and satellite data is shown clearly on the today screen whenever the GPS is running. # In-pocket tap protection. A single tap on the today screen only operates the GPS in quick fix mode. To fully start the GPS in continuous mode requires an iphone like sliding motion, guaranteeing no pocket accidents. # Single tap from the today screen to access fully draggable online maps! 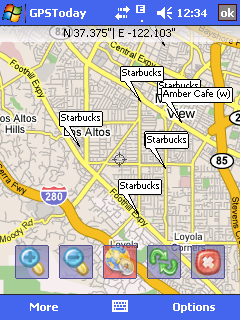 # Always see all your address book contacts on the map. Just tap a contact to quickly call/email or send sms. # Single tap from today screen to quickly do a yahoo local search around your current position and see the results on a live map. Just tap a result to call or open the website. # High quality Yelp Reviews for local search results! # Fetch the full street address for any point on the map. # GPSToday automatically disables data access when your device goes into roaming mode. # And many more features. # Best of all, its free! Note: The Street-Address feature currently works in the US only! 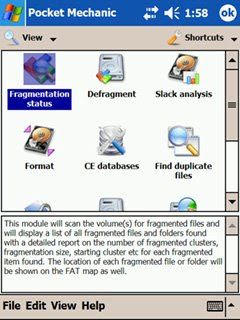 · If the GeoTagger add-on is installed and running in automatic mode, it will now restart itself if the device is soft-reset or if the today screen is reloaded. · Instead of street address, you can now save latitude/longitude/altitude to contacts in your address book. Great for saving specific locations "out in the wild"! · Now find points on the map by specifying latitude/longitude. MobileDB-PC is a free and easy-to-use Windows version of MobileDB. 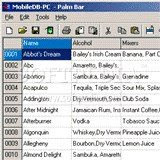 Create and edit MobileDB databases on your PC to use with MobileDB or MobileDB Lite on your Palm. The "Excel-like" interface is both intuitive and flexible as it allows for import/export of the data in a comma separated, tab separated, or semicolon separated format. MobileDB databases can be set to be installed on the next hotsync directly from MobileDB-PC. The Ark's built, and it's just started raining, and there are still hundreds of animals to bring in! 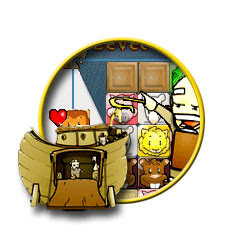 Can you fill the ark with pairs of animals in time? Amazingly simple to play - Unbelievably hard to put down! Tap to match pairs of animals in the confusion, to bring them to the Ark and save them from the rising flood water. The Dog Ate It is a fully functional new student planner for your Pocket PC. It has great features including Outlook compatibility and full class scheduling and assignment tracking. It offers you a fresh simple user interface making accessing your schedule convenient and fun. It is clearly the leading solution in the Student Planner Market. 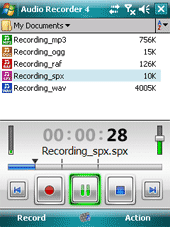 Start recording anytime just by pressing one button. Convert WAV to MP3, RAF to WAV, SPX to MP3, ... everything is possible. This amazing product Head & Neck Anatomy Flash Cards uses the time tested content and images from BryanEdwards.com and displays 140 specialized images of the head & neck on the PDA. This product clearly displays the anatomy of the muscles, arteries and nerves through this anatomic region. Images individually illustrate each muscle of mastication, denoted are the origin, insertion, action, innervation, arterial supply, synergists, and antagonists. Not sure whether it is English or German version. With MASP ware plates can be easily German car registration plates on the road and over time, ie the corresponding city. Zudem gibt es zusätzliche Informationen zum Herkunftsort. In addition, there is additional information about the origin. Unterstützt werden auch abgelaufenen Kennzeichen, sowie Sonderkennzeichen und Diplomatenkennzeichen. Supports are also expired registration plates and special plates and diplomatic plates. Don't limit your mobility to just one kind of terrain. With TwoNav you can enjoy the best On-road and Off-road assistance, obtaining a complete solution to your orientation needs. Use urban navigators' typical features (door-to-door navigation, next manoeuvre, etc.) beside the versatility of the CompeGPS Off-road tools (map viewing, movement stats, position reference edition, etc.). All in just one program. TwoNav includes high quality urban maps (V-maps) so On-road navigation can achieve the best performance. Moreover, any kind of map (topographic, orthophotos, elevation maps, etc.) may be used to obtain complete information about any terrain (see more info about cartography or visit maps' shop). A user friendly interface will let you access a great diversity of functions so the software can be adapted to your needs in any situation. Wherever you are, TwoNav will help you find the best way to reach your destination efficiently and safety. 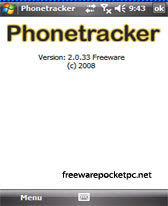 TwoNav Pocket is the version of the program for PDA (Windows Mobile 2003, 2005 y 6). ButterFlight is a perfect pastime for all fans of puzzle games. This game will absorb you. It will please your eyes with amazing views of nature. 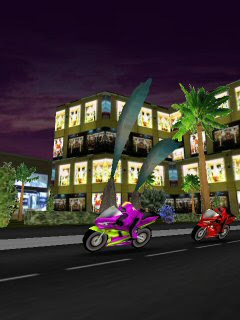 Having four various game modes (Pairs, Twins, Quads, Trios), and different skill levels (EasyRide, Novice, Expert and Master), it offers you an exciting trip, where you can become the Lord of the Butterflies. 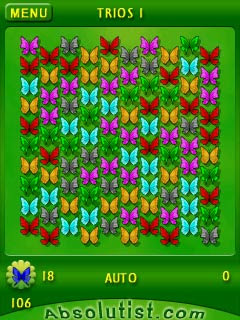 Have fun with rotation and gathering colorful butterflies. Make your butterflies fly! Meet Slyder, a spherical hero who needs your help to find his way through a wealth of brain-teasing mazes. Along the way he'll meet friends and foes like Boffo, Unger, Reginald and Sparky. Some will help him and some will seek to hinder his progress. Use your powers of logic to show Slyder the right way to the warp point and on to the next level. Super Slyder features over 200 mind-boggling mazes with a full tutorial to show you how to play. Guide Slyder by using your stylus or directional keys. Just press the thumbpad in one direction and Slyder is off and running. But be careful. Once Slyder starts moving he will continue in that direction until he is stopped by an obstacle or the edge of the maze. This colorful, fun puzzle game is easy to start, but so addictive you won't want to put it down. Popular game ClickDeluxe is back again – and you won't believe the fun! New graphics, gameplay and game modes, skins and bonuses. Click Deluxe 2 is a must-have game for your Palm OS or Windows Mobile device. More fun, more play, once you start clicking you won't be able to stop! The leading Windows Mobile maintenance utility comes re-loaded with features and tools to keep your mobile device and storage cards in perfect shape. A complete rewrite of the award winning Pocket Mechanic application, the Professional version is faster, more powerful and is compatible with more devices. Optimize your device and storage for peak performance, clean up system junk and free up precious memory occupied by unwanted files and OS objects, maintain the system integrity and prevent possible problems, ensure your privacy and protect your investments in storage cards and mobile device hardware by using a simple and descriptive user interface yet offering robust arsenal of powerful Pocket PC maintenance tools ? this is what Pocket Mechanic Professional does well. Start taking control of your costs when using GPRS! Now you can, with the ALL-locations GPRS Traffic Counter, a unique utility for measuring the amounts of data transfers via your GPRS, CDMA or GSM network connection and calculating network usage costs. The GPRS Traffic Counter monitors all data transfers you perform and calculates the cost of your GPRS usage taking into account your billing model. Just pick the one you are using and all details will be filled in! Finally you are able to get a grip on your GPRS costs. The GPRS Traffic Counter can be used both with a one piece solution like the XDA as well as with a two piece solution like an iPAQ in combination with a bluetooth GPRS mobile phone. - Upgrading from version 3.0 to 3.1 without losing current data. Any number of players in one game, played by you or by the computer. 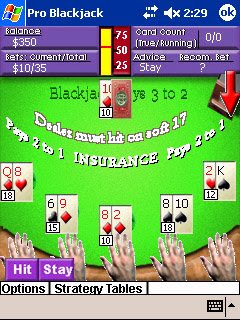 Set up your Pocket PC to play some of the positions and ,computer players to come and go at random just like a real casino table. Set the skill level of the computer players to be advanced, normal, or novice. Play multiple hands, count cards, get advice, and much more. 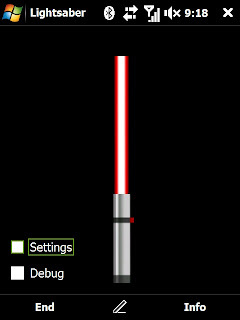 Version 1.4 now has improved graphics, and the ability to change the table color from Green to Red. You'll feel like you're playing a real blackjack table at the casino. Put yourself in high gear and steal your dreamcar out of the garage by moving all other cars, vans, and trucks, within a given timeframe. Think fast, move efficiently and maybe you'll outrun the cops! - 60 exciting missions with increasing difficulty - from very easy to extremely hard! 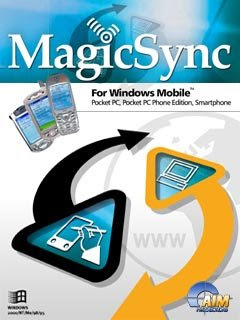 MagicSync PRO comes with a Client Wizard tool. With this tool you can create a completely customized program to distribute to your clients, staff, friends,... You can specify the content (unlimited number of files/folders), add your logo and text, add a link to your URL,... and the Client Wizard will fully automatically create an executable you can distribute to your endusers. All they have to do is run the executable and next time they dock their Windows Mobile Device, the content of your choice will automatically be synced from your website to their SmartPhone/Pocket PC. At any time you can decide to add new information to sync, discontinue syncronisation of files that have become obsolete, or even change the location of the files without changing anything to the client configuration. There's no need to go through expensive online file syncing services which charge monthly or annual fees. You can do it all yourself. All you need is MagicSync Pro and some space on the Internet to put your files. The software comes with a crystal clear manual which will enable you to set up your custom solution within 20 minutes! Watch out because this lovely blackjack dealer sure has a trick or two up her sleeve! You better search for v2.2 on my website. I post this old version because I want to help someone who wants the crack of this version. Designed specifically for Pocket PCs, Total Remote transforms a Pocket PC into a full function remote control. It can send infrared commands to any device that can be controlled via IR - up to 100 feet away. The Total Remote package includes a patented hardware transmitter that gives users up to 3 times greater range than standard remotes. The Total Remote software can support built in Infrared ports (IrDA) at shorter ranges. Total Remote 2.0 is also capable of utilising consumer infrared (CIR) hardware, which results in a much stronger signal and better performance. 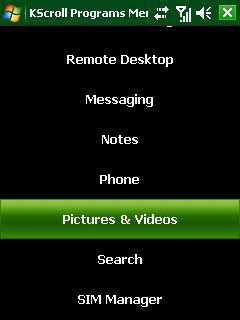 For customers who have upgraded to Windows Mobile 2003 and lost their built-in remote control program, Total Remote 2.0 allows them to take full advantage of their hardware. Total Remote ships with preconfigured profiles for TVs, VCRs, and DVD players from most common manufacturers. Users can easily add additional devices by downloading new customized device profiles. With the new CCF compatibility thousands more unique presets are available for free download from sites like remotecentral.com among others. Users can also create their own custom settings or macros. Now in Total Remote 2.0, users have the ability to re-edit and save existing macros instead of recreating them from scratch. Experience classic gameplay with this extremely addictive and fun to play arcade puzzle game ! 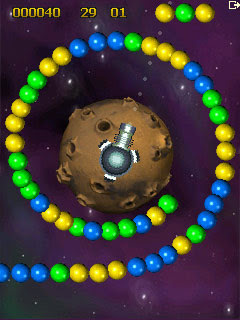 The game is simple but your goal is not; defend your planetoid by blasting all coloured space balls into oblivion. If 4 or more balls of the same colour touch each other, they are annihilated. So use this knowledge to your advantage and try to survive as long as possible. Don't forget to go for the COMBOS, because they will bring you a highscore ! One last advice before you dive into this space adventure: "Beware of the black holes !" Sounds easy, doesn't it? Just you wait and see...! Ladies and Gentlemen, Children Of All Ages, Shape Shifter beckons you to a delightful convergence of action, intrigue and fun! ShapeShifter has two fun-filled modes of play; Beat The Clock, where you fill a specified number of rows before time runs out; and Shape Speedster, where you clear a number of rows before the board fills up. As they are cleared, another row appears. If the rows reach the top of the board, then your game is over. Higher levels bring more and varied types and colours of shapes to create a greater challenge. 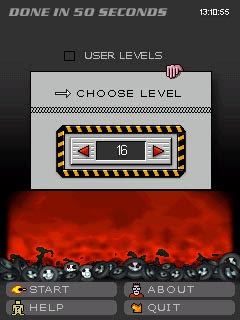 Beat The Clock also includes special bonus levels to test your speed and dexterity. * A massive array of colourful and bright shapes! * Selectable levels of difficulty, from level 1 to level 99! 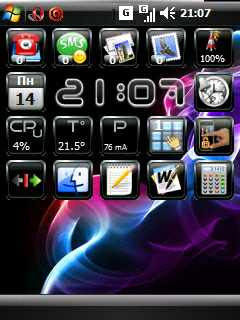 By March this year, Pocket Presence will release the successor of the Running Voice GSM software for Pocket PC. The new release will be the most advanced and value adding tool so far for GPRS and GSM communication on PDAs. The communication core is able to manage several parallel communication sessions with different applications. This will be an important component for future integrations of advanced GPRS services in Running Voice. The Bluetooth manager provides a range of features for optimising Bluetooth communication with other devices. There will no more be a problem to lose Bluetooth contact with the mobile phone. As soon as the phone is "visible" again, Running Voice will resume work. SMS messages will be automatically synchronised between the mobile phone and PDA and ongoing calls will appear in the Voicebox. The new release of Running Voice contains an embedded platform for integration of additional services and functionalities. Using the service platform (which was pre-launched in version 1.1) and a special distribution tool, service providers and enterprises can easily develop and wirelessly deploy advanced solutions to existing Running Voice clients. Guitar Hero® is now available on mobile! Rock out anytime, anywhere with this rhythm-based, three button game that stays true to the original. This is the one-time purchase version of the game. The initial game comes with 15 tracks from some of rock’s greatest acts. With the one-time purchase, you will have access to an additional three tracks issued each month...Rock out anytime, anywhere with this rhythm-based, three button game that stays true to the original. 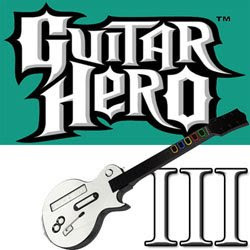 Open with 15 jamming tracks, all taken from the Guitar Hero console series." Capture screenshots and view photos, MPEG videos, and PowerPoint presentations with this versatile application for all Pocket PCs! Screenshots can be made with a 10 second delay or instantly, and are saved in .jpg format. You can attach a sound recording to an image or draw notations on it. An included desktop application lets you enhance and export images and PowerPoint presentations to your Pocket PC. With Voyager VGA card (not included), the exported presentations can be projected using the card’s built-in support. Having worked on a few flight simulations for the PC, I have always been a fan of aerial simulation games. 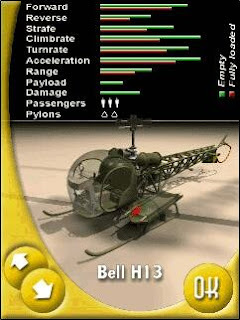 Now comes Chopper Alley published by Zio Interactive. Trying to create a flight combat game on the PC is very difficult. 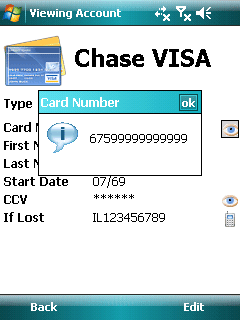 Making one on the Pocket PC is extremely difficult. With the limited screen, memory, storage, and input system of a Pocket PC, creating a true experience is quite a challenge. Choppy Alley is fun and challenging, but it is not a simulation. It is however, an enjoyable action game. What's cooler than an army of medieval dwarves with modern-day weapons? How about 8 different armies? That's right, choose from 8 different armies of dwarven fighters and blow each other to Kingdom come! Arm your team with 20 different weapons ranging from bazooookas and frag grenades to railguns and napalm! If you want destruction on a grand level, Battle Dwarves is for you! "Pocket Mini Golf - Bundle" combines the award winning #1 best selling mini golf game and the great new add-on pack "eXtra" at a bargain price.